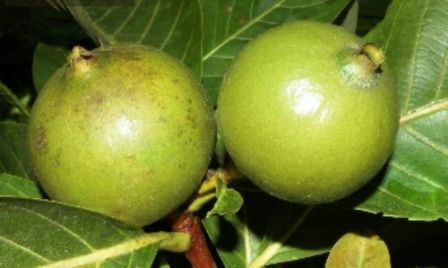 Synonyms: Cordiera edulis, Genipa edulis. Purui is native to Soth America. It grows in Bolivia, Peru and Brazil, Noth through Central America to Mexico and Carribearica. Madrono is a characteristic plant of savannahs and open woodland, especially in low, secondary formations. 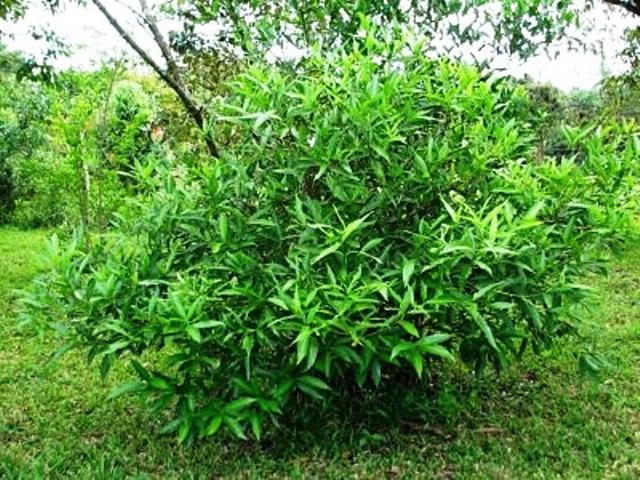 An evergreen dioecious or semi-deciduous shrub or small tree with an irregular, sparse crown, can grow 1 – 6 metres tall; bole usually crooked and 15 – 25cm in diameter; bark light brownish. Leaves opposite, ovate to oblong, leathery, shiny above, with hairs on on the axils ofveins beneath. Margin smooth. Flowers tubular to trumpet-shaped, sessile, white to cream coloured, hairy, in 10-20 cm long panicles, petals 4-5. Fruit round, green, 2-4 cm wide, weighs 10-30 g each; pulp black when ripe. Purui fruits are eaten fresh. These are also made into jam and juice. 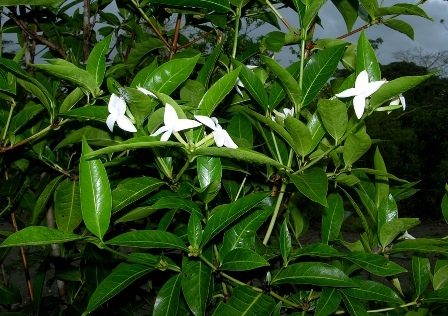 The tree also has local medicinal uses and is a source of wood. Purui fruits are mostly collected from trees in the wild, as this species is seldom cultivated. New plants can, however, be raised from seed which should be sown soon after extraction. Nursery beds should be located in partial shade. Germination takes place in 50-60 days and percentage of germination is around 60. Seeds best sown as soon as it is ripe in a partially shaded position in a nursery seedbed, Only just cover the seed. A germination rate of around 60% can be expected within 50 – 60 days.